From a technical point of view, this is a quite far-fetched story. But for the sake of entertainment, this is very interesting. Unlike Akagi which mostly focus on psychological and technical part of the game, Saki is more focused on the drama around the game. Admittedly, this is not nearly as intense as Akagi from a technical perspective. But the added characters and drama make this an equally interesting anime to watch. 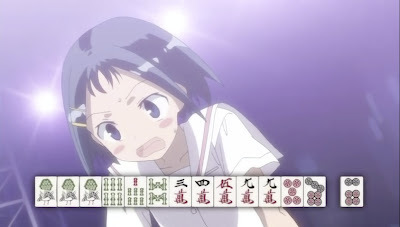 On top of that, once a while, I'm still catching some interesting facts about the Japanese Mahjong rules that I didn't know.